The Natural History Museum is housed in the Fontego dei Turchi, built as a palazzo for the Pesaro family in the 13th century. With its imposing Grand Canal façade, it is one of the most famous secular buildings in Venice. 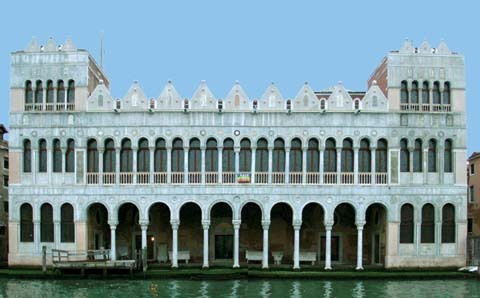 Its double loggia in the so-called Venetian-Byzantine style reflects the purpose for which the building was created, as a trading depot for goods coming from the East; the corner towers are similar to the defensive structures that were part of Early Medieval family palazzi. 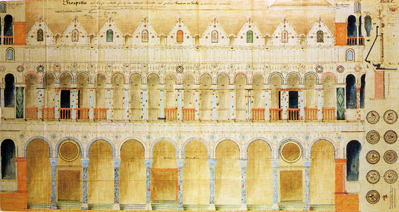 In 1381 the building was given to Nicolò d’Este, lord of Ferrara, and then (in 1621) – after changing hands several times – became the Fontego for Turkish merchants in the city (the place where they were expected to live and do their business). It was used for this purpose right up until 1838, and then from 1865 onwards underwent extensive restoration work. Thereafter it housed the Museo Correr and later, from 1923, the Natural History Museum. The museum was set up to house various local scientific collections: from the Museo Correr, from the Istituto Veneto di Scienze, Lettere e Arti and others.